Cystic fibrosis (CF) is a chronic, progressive, and frequently fatal acidic condition of the elimination organs, of the respiratory system (lungs), bowels, urinary tract system, reproductive organs and the skin as the alkaloid glands (the salivary glands, stomach, and small and large intestines) produce and secrete alkaline compounds, such as sodium bicarbonate to buffer and preserve the alkaline design of the body. This acidic condition can affect any organ or organ system but primarily affects the respiratory, digestive, and reproductive tracts in children and young adults. On average, individuals with CF have a lifespan of around 37 years. According to the Cystic Fibrosis Foundation, about 30,000 Americans have CF. This acidic condition occurs mostly in whites whose ancestors came from northern Europe, although it cuts across all races and ethnic groups. About 3,500 babies are born with this acidic condition each year in the United States. Moreover, about one in every 30 Americans suffer from CF. Thick, viscous mucus in the lungs caused by the glandular secretion of sodium bicarbonate in the chelation of excess dietary and/or metabolic acids. Changes in color and amount of sputum (material coughed up from the lungs) is in direct relationship to the build-up of acidic waste products that are not being properly eliminated through the four channels of elimination – the lungs, bowels, kidneys and skin. Chronic cough, possibly with blood streaking is a result of increased acidic and the lung and other elimination organs ridding itself of excess dietary and/or metabolic acids. Wheezing is caused by an increase in sticky acidic mucous. Bronchitis is stage four acidosis. Chronic sinusitis is an acidic condition or stage two acidosis which is experienced by congestion and irritation. Asthma is a higher valance of congestive acidosis leading to congestive acidic mucous. Nasal polyps (fleshy growths inside the nose) are groups of cells bound together with dietary and/or metabolic acids. Weight loss, failure to thrive in infants, abdominal swelling all caused by the retention of acids. Weight loss due to dietary acids destroying the delicate villi in the small intestines. Excessive salt in sweat, dehydration due to the build-up of acids that are not being properly eliminated through the four channels of elimination – lungs, bowels, kidneys and/or skin. Failure of newborn to pass stool is the result of ingesting acidic foods and/or drinks. Abdominal pain, flatulence are both caused by trapped acids that have not been properly eliminated through the bowels or urinary tract system. Fatigue is the first sign congestion of the elimination organs and dietary and/or metabolic acids are building up. Other acidic conditions that are caused by an acidic lifestyle and diet such as late onset of puberty, intestinal obstruction, inflammation of the pancreas, cirrhosis (a liver condition), and infertility may also be signs of CF. 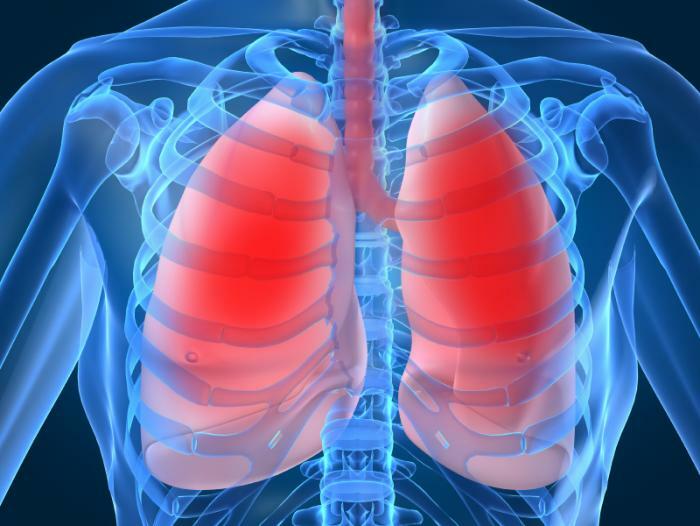 What Causes Cystic Fibrosis According to Traditional Medical Savants? Current medical science suggests that CF is caused by a defective gene that tells the body to produce abnormally thick and sticky fluid, called mucus. This mucus builds up in the breathing passages of the lungs and the pancreas, the organ that helps break down and absorb food. This collection of sticky mucus results in life-threatening lung infections and serious digestion problems. Medical science also suggests that this so-called disease may also affect the sweat glands and a man’s reproductive system. When I talk about disease or “dis-ease”, such as CF, I am really focusing on the state of imbalance in the body, especially the lungs, that is brought on by an inverted way of living, eating and thinking. All disease or dis-ease, including CF is caused by individual lifestyle and dietary choice or for children how parents are feeding and caring for their children. I have suggested that you do not get sick you have to do sick by making acidic lifestyle and dietary choices. When you choose or parents choose for their children to eat acidic foods or drink, such as animal flesh, eggs, dairy products, like cheese, yogurt and ice cream, you set yourself up for excess tissue acidosis and a serious health challenge, such as breast cancer for a woman, prostate cancer of a man or cystic fibrosis of the lungs for a child or young adult. Over 30 years ago I postulated a theory that ALL sickness and disease is the result of an inverted way of living, eating and thinking. And, that genetic defects were caused by acidic dietary and lifestyle choices that caused the genetics to express themselves in abnormal ways. In the case of CF, the alkaphile glands (stomach and pancreas) are secreting sodium bicarbonate into the acidic tissues or organs, such as the lungs to maintain the alkaline design of the body fluids and protect the lung cells from breaking down. The result is when sodium bicarbonate binds to dietary and/or metabolic acid it creates mucous. The mucous is the effect of the body protecting itself from excess dietary, environmental and/or metabolic acid. The intelligence of the cell or its genetics is only as healthy as its environment. I like to compare the intelligent expression of the cellular genetics to a dangerous game called Russian Roulette. To play the game you put one bullet in the chamber, spin the chamber and then put the gun up to your head and pull the trigger. The object of the game is to avoid blowing your head off. The bullet is a metaphor for the genetics and the trigger represents your daily personal lifestyle and dietary choices. The result in cellular genetics will always be if you continue to pull the acidic lifestyle and diet trigger the genetic bullet will be fired and the symptom will be expressed. The expression of cellular genetics in producing excess mucous in the condition of CF can be stopped when you stop pulling the acidic lifestyle and dietary trigger. The human cell is only as healthy as the fluids it is bathed in just as a fish is only as healthy as the water it swims in. Change the water and you will change the genetic expression. It is critical to understand this foundational principal in achieving and maintaining a healthy body and a healthy respiratory function. The foundational hypothesis of my work is the understanding that the human body is alkaline by design and acidic by function. The mucous in the body is the evidence that the body is protecting itself from its acidic functions (breathing, thinking, moving, eating) when dietary and/or metabolic acids are not properly eliminated through the four channels of elimination. Your health, fitness, energy and vitality is an expression of what you are eating, what you are drinking and what you are thinking. If you are ingesting an abundance of acidic foods and liquids, that’s creating an internal acid environment leading to a breakdown or fermentation of body cells, this will lead to a host of dis-ease conditions, including CF. The one sickness and one disease or dis-ease is the over-acidification of the blood and then tissues due to an inverted way of living, eating and thinking. This one sickness and one disease or dis-ease has seven stages or seven expressions, which have been categorized by medical science as separate or different types of disease without any association or connection. But, there is NOT many diseases only one disease and one health! For example, cancer is part of that one acidic disease. Cancer is an acidic condition that spoils healthy cells making them cancerous. Multiple sclerosis is part of that one disease as acid destroys the myelin sheath. Heart disease is the result of acid damage as is diabetes. Cystic fibrosis is also part of this one disease as healthy body cells are being protected from dietary and/or metabolic acids creating sticky mucous. Allergies, arthritis, osteopenia, osteoarthritis, osteoporosis, bowel restrictions and constipations, from diverticulitis to diverticulosis, IBS, ulcerated colitis, Crohn’s, all of these so-called diseases are the result of a compromised alkaline environment from individual acidic lifestyle and dietary choice. 5) The fifth stage of acidosis is induration or fibrotic tissue or the hardening of the tissues or organs. This is the classic symptomatology of cystic fibrosis. The tissues and organs are turning into leather. Another classic symptomatology of induration is atherosclerosis or the hardening of the vascular system. Anyone who lives an acidic lifestyle will eventually sit down to the banquet of his/her choices. Make no mistake. Cystic fibrosis or any “osis” condition is a progressive acidic condition that I call “latent tissue acidosis” that begins with fatigue, then congestion, then retention, irritation, mucous build up, inflammation, induration, ulceration, degeneration and finally a painful early death. 2) Heal the root system or the intestinal villi of the small intestines.3) Build healthy stem cells and red blood cells.4) Hyper-perfuse the blood and tissues with alkalinity. CF is caused by the genetic expression of body cells to excess dietary and/or metabolic acidity. To change the genetic expression of the body cells one must restore the alkaline design of the body fluids with an alkaline lifestyle and diet I call the pH Miracle diet. To have CF, a child must inherit the acidic lifestyle and diet of the parents that then causes two abnormal genes — one from each parent. The new science of epigenetics suggests that genes can change their expression. In other words, when a child with CF changes his/her diet from a standard acidic American diet to the pH Miracle alkaline diet the genes will change and begin slowing down and even stopping their secretion of alkaline sodium bicarbonate. This in turn will reduce congestion from sticky mucous. The best cure for Cystic Fibrosis will be found in its prevention NOT in its treatment. Preventing CF must begin with the parents switching to an alkaline lifestyle and diet before conception. At birth the parents can help avoid the symptoms of CF or any other dis-ease with the pH Miracle Lifestyle and diet. The hope for the future is that the pH Miracle therapy can repair or replace the defective CF gene and cause the gene to express itself differently by changing the environment and restoring the alkaline design of the body fluids. This will cause the gene to express itself in an alkaline way rather than in a defensive way to protect itself from an acidic lifestyle and diet. This environmental approach for treating CV may prove to be the cure for this acidic lifestyle and dietary symptom. 3) Heal the root system of the body or the intestinal villi of the small intestines to improve the quality and quantity of stem cell and red blood cell production. 6) Alkalizing natural organic and colloidal medications for reducing the acids that cause mucus blocking the lung’s airways. Nebulizing ml of Glutathione and 5ml of N-acetyl-cysteine to reduce acidic mucous in the sinuses and lungs 2 to 3 times a day. Antibiotics are highly acidic and should NEVER be used with CF. To reduce infection you reduce tissue acidity which is the cause of infections. The alimentary canal problems of congestion caused by an acidic diet causing CF are managed with these natural organic remedies. Alkalizing hydrocolon therapy or colonics and enemas with mucolytic agents such as magnesium oxide, magnesium chloride, sodium bicarbonate, potassium bicarbonate, calcium glutamate and Vitamin C to treat intestinal obstructions and to infuse alkalizing compounds into the blood stream via the mesenteric blood vessels. Eliminate all inflammatory acidic liquids and foods that increase sodium bicarbonate and the formation of mucous, including dairy products (milk, cheese, sour cream, and ice cream), wheat (gluten), processed soy except for non-GMO organically sprouted soy, corn, potatoes, all high-sugar fruit including bananas, oranges, pineapple, berries, apples, all forms of sugar including honey, maple syrup, fructose, maltose, dextrose, glucose, preservatives, food additives and excessive salt and all animal meats including fish, poultry, beef and pork. Eat more foods that decrease acids and the formation of mucous, including garlic, onions, watercress, horseradish, mustard, parsley, celery, cucumber, broccoli, spinach, rose hips tea, lemon, lime, tomato, avocado and anti-inflammatory/anti-acid oils from nuts and seeds. Eat more foods that are high in potassium, such as avocado sprouts and kale. Avoid all processed and refined foods, such as white breads, pastas, and sugar. Eliminate all red meats and lean meats, pork, poultry, fish, processed soy and all legumes. Increase plant-based proteins from avocado, hemp and sprouted organic soy. Use healthy oils in foods, such as cold pressed olive oil and avocado oil. Eliminate trans fatty acids, found in commercially baked goods such as cookies, crackers, cakes, French fries, onion rings, donuts, processed foods, and margarine. Eliminate all grains from the diet. Eliminate all forms of vinegar. Eliminate all forms of mushrooms. Eliminate coffee, black teas and other stimulants, alcohol, and tobacco. Eliminate sport drinks, energy drinks and soft drinks. Drink 4 to 6 liters of 9.5 alkaline water daily based upon 1 liter per 30 kg of weight. Add 10 grams of pH Miracle green powder with 5 drops of pH Miracle puriphy in each liter of water. This will help build healthy stem cells and blood in the crypts of the small intestines and reduce latent tissue acidosis which is the cause of CF. Alkalizing exercise moderately, for 60 minutes daily, 6 days a week. Choose from walking, jogging, elliptical machines, rebounding, swimming, biking, Younga Yoga, isotonic weight lifting, just to name a few. Omega-3 fatty acids, such as Hemp, Flax and Borage oils, 4 – 6 capsules or 1 tablespoonful of a 2 to 1 to 1 (Omega 3 to 6 to 9) combination of these three oils at least three to four daily, to help decrease inflammation caused by dietary and/or metabolic acids and improve the health and strength of the lipid membranes of stem, blood and body cells. A multivitamin daily, containing the acid chelating antioxidant vitamins A, D, E, K, the B-vitamins and trace minerals, such as sodium, magnesium, potassium, calcium, zinc, and selenium. Digestive acid buffers of sodium bicarbonate, potassium bicarbonate, magnesium chloride and calcium chloride to reduce hydrochloric acid in the stomach, bowels, blood and tissues, 1 – 2 capsules 4 times daily with 9.5 pH alkaline water. Magnesium oxide with Vitamin C to breakdown undigested acid foods of animal protein, dairy products and mucous in the 9 yards of the small intestines. Coenzyme Q10, 100-200 mg at bedtime, for antioxidant and supporting the white blood cells in removing bacteria, yeast and solidified acids from the blood and tissues. N-acetyl-cysteine (NAC), 2000 mg daily 3 times a day, for antioxidant effects for buffering metabolic acids of acetaldehyde and ethanol alcohol that affect the respiratory and neurological systems. NAC can also be given by IV at 5ml where each ml equals 200mgs. Grapefruit seed extract (Citrus paradisi), 100 mg capsule or 5 – 10 drops (in alkaline water) 3 times daily, for buffering the acids of diet, metabolism, bacteria and yeast for increasing the alkaline pH of the gastrointestinal system to 8.4..
Methylsulfonylmethane (MSM), 3,000 mg twice a day, to help decrease the acids that cause inflammation. Organic hemp protein, 10 – 20 grams daily mixed in fresh organic hazel or almond milk, for supporting the white blood cells and blood building. L-Arginine, 10 grams 3 times a day to break up solidified acid crystals causing circulation problems of the vascular and lymphatic system. Magnesium chloride, 2 grams 3 times a day to oxidize dietary and metabolic acids. Pure organic chlorophyll from sprouted Moringa, 5 to 10 drops in 4 ounces of 9.5 pH alkaline water 3 times a day. This mixture at 10ml can also be put into a nebulizer to reduce acid congestion in the sinuses and lungs. Glutathione, 2000mg 3 to 4 times daily, neutralizes harmful acids or oxidants introduced into the lungs from the air or blood or those released by cells. Exotoxins from bacteria can overload the endobronchial terrain and feed the fires of acidic inflammation. This staggering burden increases the oxidative sensitivity of the CF lung, resulting in further injury of lung parenchyma. Data supports evidence of a decrease in the antioxidant tri-peptide glutathione. (Roum JH, Buhl R, McElvaney NG, et al. Systemic Deficiency of Glutathione in Cystic Fibrosis. J Appl Physiol 1993; 75:19-24). Medicinal herbs, grasses, fruit and vegetables is a safe way to strengthen and tone the body’s alkalizing buffering system, detox the alimentary canal and build blood in the crypts of the small intestines. You should use the whole unprocessed or non-fermented herbs, grasses, fruit and vegetables triturated to a fine powder so they that can be mixed in 9.5 pH alkaline water or put into veggie caps to be taken orally. Ginkgo (Ginkgo biloba), 40 – 80 mg 3 times daily, for inflammation and as an antioxidant to buffer acids in the blood, tissues and organs. Wheat, Barley and Kamut organically sprouted grasses, 250 – 500 mg daily, for building blood, detoxing the alimentary canal, buffering dietary and metabolic acids and supporting the white blood cells in the removal of solidified acids. You may also prepare teas from these grasses. Cat’s claw (Uncaria tomentosa) , 20 mg 3 times a day, for inflammation caused by dietary and/or metabolic acids, supporting the white blood cells and reducing acids from bacteria, yeast and mold in the blood and tissue fluids. Milk thistle (Silybum marianum), 80 – 160 mg 2 – 3 times daily, for detoxification of acids in the blood, liver and kidneys. Bromelain (Ananus comosus) , 40 mg 3 times daily, for pain and inflammation caused by dietary acids. Ground Ivy (Hedera helix) , 50 mg 3 times daily, to decrease acids and the build-up of mucous and to loosen phlegm. The main purpose of IV therapy is to hyper-perfuse the tissues with alkaline compounds of sodium bicarbonate, magnesium chloride, potassium bicarbonate and calcium glutamate and thus buffer the retention of excess dietary and/or metabolic acids in the body tissues, especially the lungs reducing inflammation, mucous, solidification of tissues, and cysts. Respiratory problems due to acid build-up and the solidification of dietary, environmental and/or metabolic acids forming acid crystals and cysts in the lungs are the most common complication from CF. CF patients receive pulmonary function tests every 3 – 6 months. They also receive chest x-rays every 2 – 4 years, or more often if needed. Young, RO, Young, SR, The pH Miracle Revised and Updated, Grand Central Publishing, New York, NY, 2010.